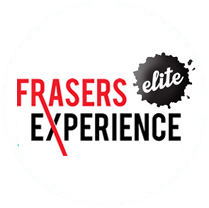 Click on the icons below to download or update the latest Frasers Experience Mobile App, available from 25 May 2018. That’s more than 1,100 retailers (including supermarkets) to choose from. Convert your Frasers Points to Digital Gift Cards which will be instantly loaded to your Frasers Experience e-wallet. Spend $8,000 or more for an upgrade to Frasers Experience Elite the following redemption year and enjoy DOUBLE value when you redeem for Digital Gift Cards! Frasers Points are issued over 12 months from 01 October of the current year to 30 September of the following year. This is known as a redemption year. Frasers Points can be redeemed anytime from 01 October of the current year to 30 September of the following year, with a 3-month grace period thereafter. 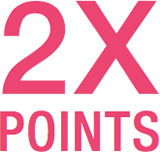 E.g: Frasers Points earned from 01 October 2018 to 30 September 2019 must be redeemed by 31 December 2019. 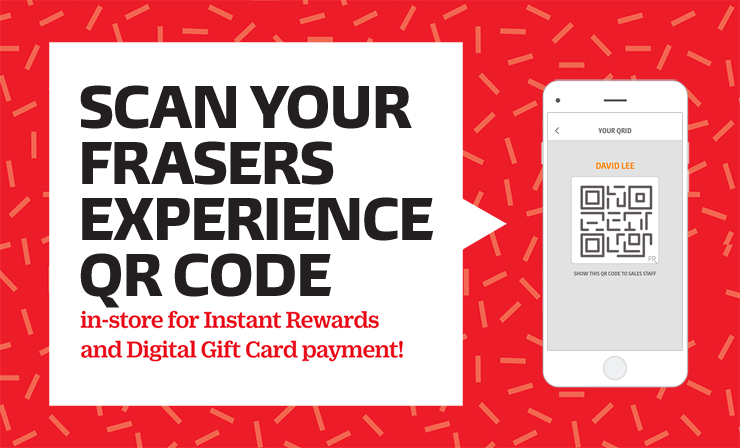 Frasers Points can be earned instantly by scanning your Frasers Experience QR code when paying in-store at participating retailers at Frasers Property, except for supermarket purchases. Point awarding for supermarket purchases from Cold Storage will be processed solely at mall customer service counters from 1 November 2018. Point awarding for purchases from FairPrice stores will be processed at participating FairPrice Customer Service counters from 1 October 2018. From 1 October 2018, Frasers Points can be earned for purchases at FairPrice stores by presenting your same-day FairPrice store receipt(s) and scanning your Frasers Experience QR code at FairPrice Customer Service counters located within the malls of Frasers Property (except for YewTee Point). Please approach YewTee Point's customer service personnel at level 1 for assistance with the awarding of Frasers Points. Frasers Property digital gift cards may be converted to FairPrice vouchers in $5, $10, or $20 denominations at FairPrice Customer Service counters located within the malls of Frasers Property from 1 October 2018. Each transaction must have a minimum purchase value of $10 to qualify for point earning. 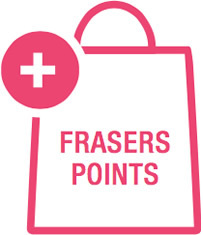 Each member can earn a maximum of 500 Frasers Points and up to 500 bonus points daily. 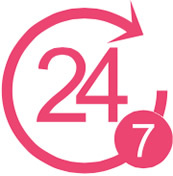 Check our website for a list of participating retailers.